1 Bedroom Flat For Sale in Eastcote, Middlesex for Asking Price £375,000. 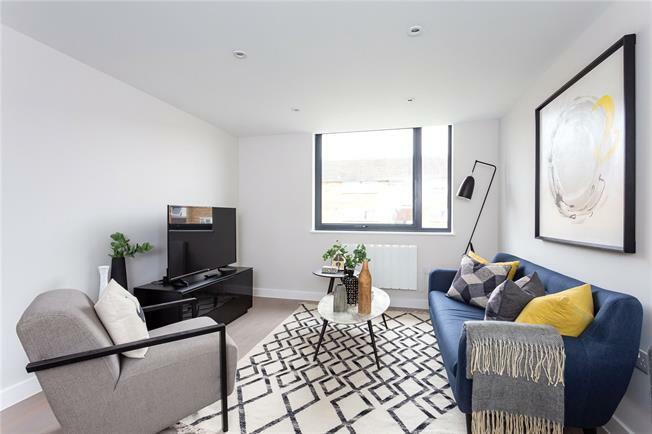 Located on the Second Floor of a new selection of 1, 2 & 3-Bedroom apartments is a 2-Bed/1-Bath offering a fully fitted Kitchen with integrated appliances, Porcelain tiled Bathroom, flooring and parking. - Bathroom include Hansgrohe brassware and thermostatic showers, wall-hung closed coupled toilets with soft close seats, Ideal Standard wall hung sink with undermount storage, Porcelain tiling, Chrome heated towel rails, Bespoke fitted mirrors in recess with downlighting. - Flooring to include Engineered wood flooring to Living Room, Kitchen and Hallway. Carpet to Bedrooms. Living Rooms and Kitchens. Multi socket (power/aerial/satellite/BT) to Living Room. TV point to Bedrooms. Mains operated smoke detectors with battery backup. Slimline white sockets and switches. Audio entry phone system.